If there's one thing a rainy Spring is good for, it's nice big strawberries. As of this Thursday, June 20th, you can come by the market to pick your own. 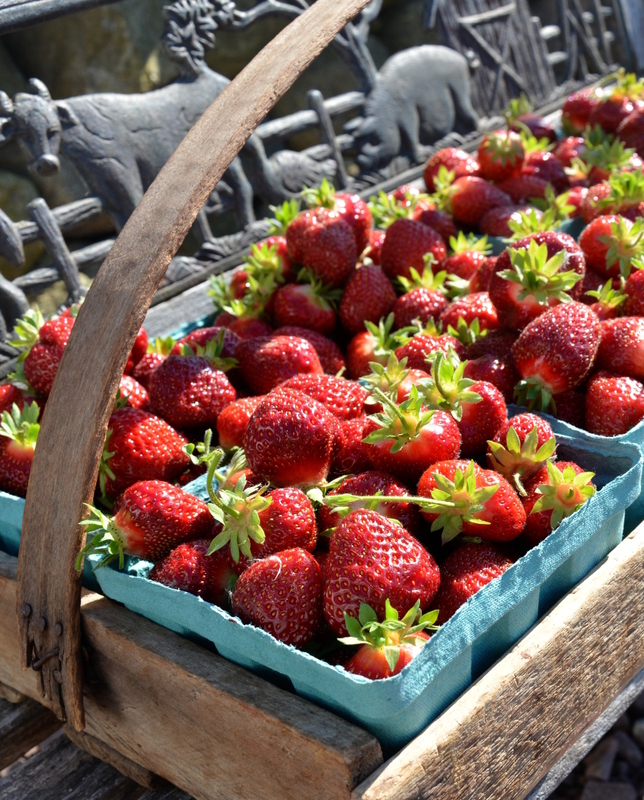 Bring your own containers or buy a few baskets from us, and spend an hour or two in our strawberry patch picking berries. It's a great way to save a little money on this delicious fruit, and a great way to relax. Our berry patch is full of nice thick straw to kneel on and it's looking pretty weed free so far (good job Farmer Tim)! We recommend coming in the morning, just to avoid the heat of mid-day. If you'd rather enjoy some delicious strawberries without having to work for it, you can buy them by the quart and flat in the market. We also have homegrown beets, lettuce, zucchini, edible pod peas, swiss chard, and garlic scapes. For an even sweeter treat, grab a fresh cookie, turnover or scone. They come in every Tuesday and Friday from Greg'ry's Bakery in Bergen.